The Workshop is where all the mods you subscribed to from the Steam Workshop is located. To subscribe to mods on the Workshop, you can click the Browse button at the top of the Workshop games menu to open it up in the Steam overlay, or go directly to the Workshop here. 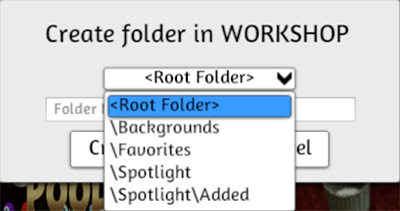 You can easily organize your Workshop mods by creating folders. To create a folder, click the folder icon at the top and choose a name for your folder. To create sub-folders, go into the folder you want the sub-folder to be and click on the folder icon and follow the same steps as before. Once you have all your base folders set, you can create sub-folders or add mods to any folder from the main Workshop menu. You can also sort the order of your mods by Date Updated, Date Created, Last Loaded, Name (alphabetical) and Random. Just click the sort icon at the top to sort the mods as you see fit. Lastly, you can hover over a mod or folder for more options by clicking the triple dot icon. Info: This will open up the Workshop page in the Steam Overlay. 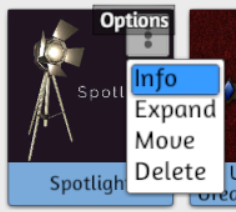 This allows you to leave feedback for the creator or get additional information about the mod that you may have missed. 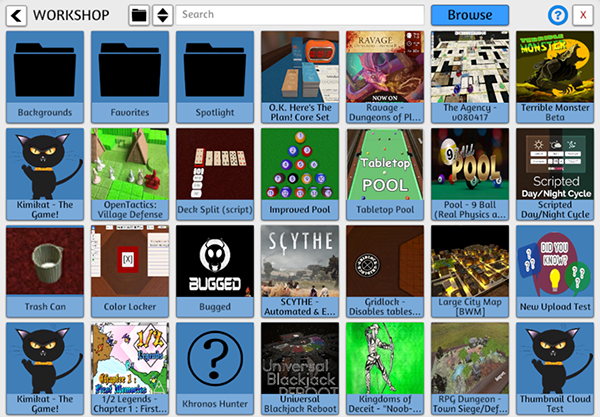 Expand: This allows you to see all the files inside the mod, so you can save each file individually or load a background or table without having to change the mod completely. Move: If you want to move a mod to a specific folder or sub-folder, you can do so here. Delete: To completely unsubscribe from the mod and delete the contents from your computer, use this option. If you just unsubscribe from the mod on the Workshop you will still have the files on your computer and will not receive updates to the mod.